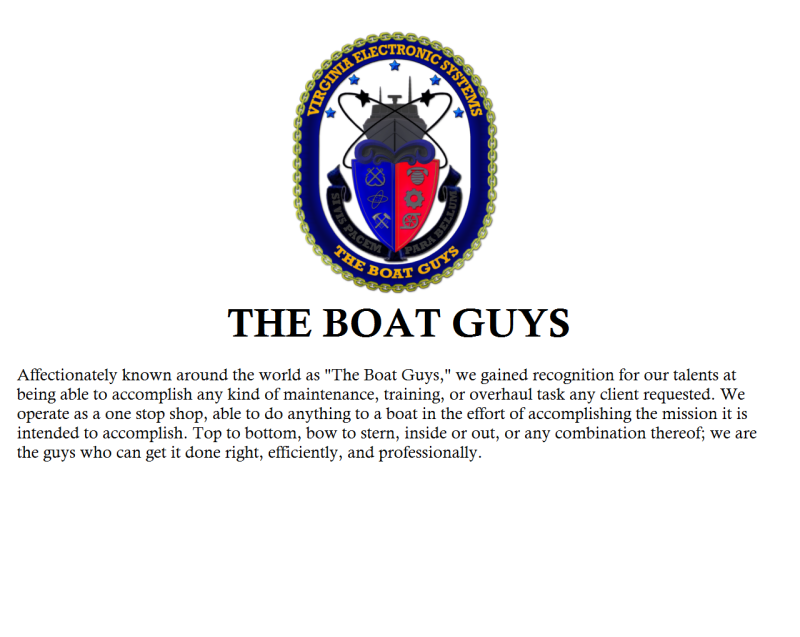 We specialize in marine civilian and military small boat maintenance and operations in the global theater. Through diverse operations conducted over 35 years in more than 65 countries around the world, we are poised to provide superior maritime services for any marine environment. All facets of marine vessel operation training is available through Virginia Electronic Systems. From basic boat familiarization and operation, through advanced multi-vessel formation and tactical maneuvers. Training is available for vessel sub-system operation, maintenance, and repair to include electronic, mechanical, and engine troubleshooting. Maintenance plan creation and customization to fit specific fleet or individual vessel needs. Unbiased bow to stern maintenance evaluations, with available follow on maintenance provisions. Modernization and upgrade to state of the art maritime subsystems to fit the specific needs of our customers. Available supply train management and software to support ongoing upgrades or maintenance plans. Multi-layered supply accountability process ensures delivery of required materials in a timely manner. Creative engineering and design to allow for dynamic solutions to specific requirements. Our capabilities allow for internal sub-component to entire vessel engineering, re-engineering, or creation.